Lunar Chronicles | Howdy YAL! I have weird feelings about short story collections for series. Generally, I end up reading them, but there’s always a part of me that feels like I’ve been suckered into reading them. The first thing that pops into my head is obvious cash cow. Of course, there can be exceptions to the rule. Stars Above sort of fits this exception while it is a collection of mostly stories that had been released as free add ons, there are a few new stories in it that make me feel as if I’m investing my money in something other than a glorified bound up edition of freebies. 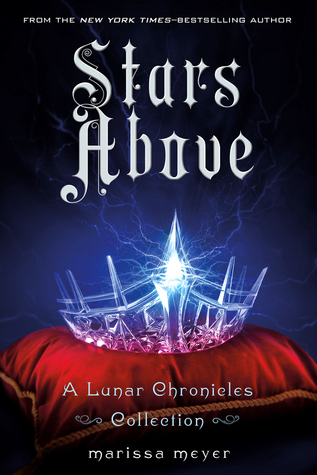 By far Stars Above’s best story is the epilogue. Here, it sort of ties up any of the loose ends of Winter and allows the fans to spend a little more time in this universe with these characters and doesn’t rehash old events that we’ve already heard about before. The sad truth was as much as I enjoyed the epilogue the rest of the stories were a little blah. Maybe it’s in part because I read them before, but I really felt that I only bought this book for the epilogue and to have all these collections in one bound up edition. It leaves the reader feeling very weird about things. 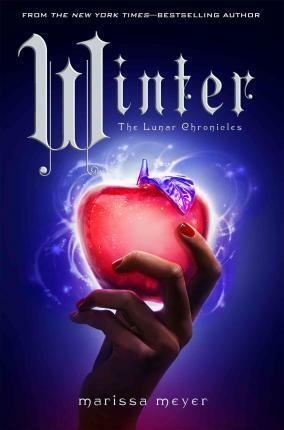 And rather than reviewing each of these stories like I should be, I find myself wondering if I should’ve made the purchase or not and if the Lunar Chronicles is becoming the latest cash cow to be milked beyond dry in YA. To say the least, I’m hoping its not. Because the Lunar Chronicles is one of my favorite YA series. However, at this point I am really skeptical because of the release of this short story collection AND a newly announced graphic novel project. Of course, because I love the series so much I’ll buy it but it does have me worried. The good news for this series though, is that the quality (at least of Stars Above ) does not defect from the quality of the rest of the series. As annoying as some of these repeat stories were, at least they still maintained the same quality as the earlier books. So that was a plus. I guess objectively I have to give Stars Above Us a high rating. And to be fair, I did like it. But there is that part of me, that part that has been burnt by so many YA spinoffs that looks at it weary wondering if it is the first “extra” installment of too many installments of the Lunar Chronicles to come. Overall Rating: B+ some of the stories really worked, but a lot of them were filler.